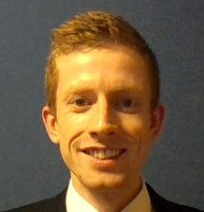 *** My name is Matt and I am an economics, mathematics and business tutor. I gained a distinction in MSc Economics from the University of Exeter (ranked 7th in the UK). I also hold a first-class undergraduate degree in BA Economics and have experience as a management consultant with Accenture Plc. Additionally, I can provide expertise with graduate-level job application processes, including tailoring of CVs and personal statements for the banking / financial services and consulting industries. I started tutoring six years ago, as part of a mentoring scheme for new undergraduate students. Since then I have provided tutoring to students ranging from lower-school to postgraduate level in a range of subjects. I aim to enable my students to achieve great results through structured and interactive learning. My wide experience teaching different subjects and students allows me to tailor each lesson specifically to your needs. I help my students to find enjoyment in learning and they often find that the subjects we cover become their favourites.